Looking for a way to get active this winter in Melbourne? Wanting to get your heart rate pumping? Bodhi & Ride's new Bodhi Athlete class might just be the ride for you. 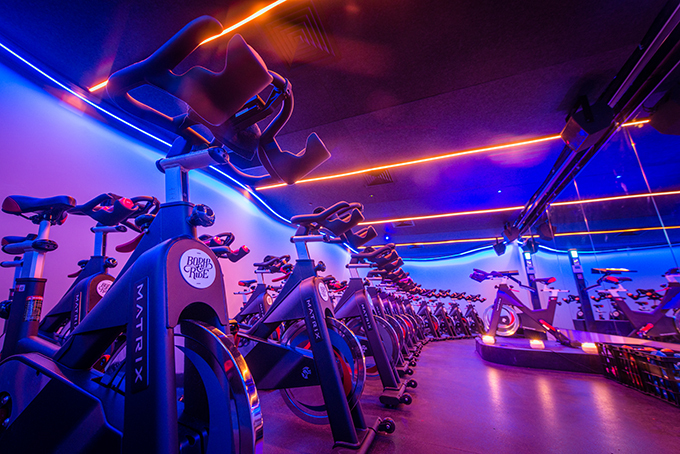 Bodhi & Ride is known for their high energy spin classes, with LED Lights and DJ beats. Take away the weights and minimise the choreography, and crank up the RPM and you've got Bodhi Athlete. I was one of the first to give this new class a spin, and what I loved about it was that for someone like myself who lacks co-ordination is that I could just focus on giving it my all and leaving every piece of energy I had in the chamber. Now it wouldn't be a true athlete program without some competition. There is a scoring system that takes each rider on a journey and connects them with other riders. Plus after each class, you receive an email with your stats, which allows you to track your progress and aim to better than last time. The energy of Raquel (who takes the 11am Sunday classes I have gone to) is amazing. She brings so much energy and pace to the class. She not only drives you to go harder she also encourages you to as well, giving you ques to follow and targets to aim for. For me, I'm loving these classes as a way to get in a high-intensity cardio workout when the weather isn't suitable for me to out kayaking or running. I was burning between 400 and 500 calories in each 45min class I attended according to my Garmin watch. With this class the team at Bodhi & Ride are certainly sticking to their ethos to provide a welcoming sanctuary from the outside world for all fitness levels. You go in, you are supported, you ride, you climb, you sweat, and you leave everything in the chamber. Bodhi & Ride have also just opened up a new space in the CBD in an industrial basement space on Russel Street. Though do take note that Bodhi Athlete is only offered at their Port Melbourne studio for now. If you're keen to get your heart rate pumping visit www.bodhiandride.com.au and book your spot to sweat! I attended the free launch for this program, have paid for a class and this is not a sponsored post. Having read the cyclist training bible, the concept of speed skills for cyclists still remains rather obscure (the somewhat controversial "ankling" technique notwithstanding).